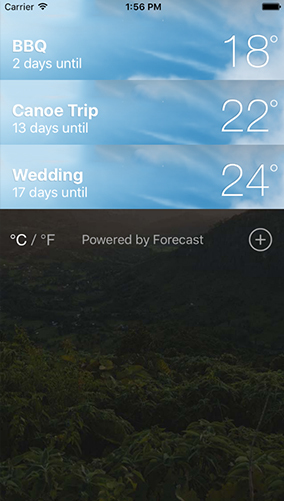 Track the weather for special events such as weddings, holidays and outdoor events. Just add the date and location for the event and the app does the rest for you. Get all the weather data you need for the event. Temperature, wind, rain forecast by the hour. The forecasts are backed by a wide range of data sources, which are aggregated together statistically to provide the most accurate forecast possible for a given time and location. Check what the wind, temperature and weather was for the last 5 years at the same day. Simple, intuitive and I like the weather history function.